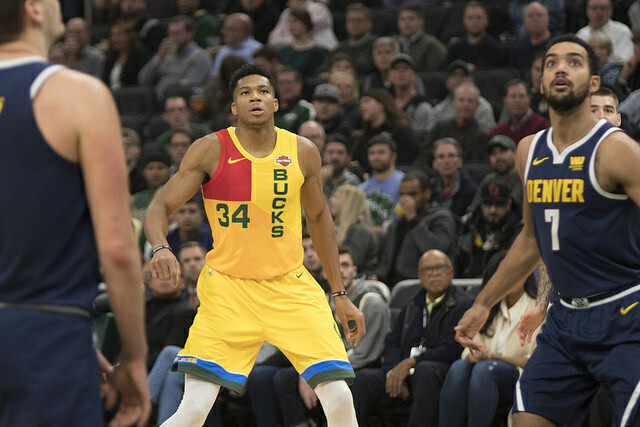 The Bucks debuted their new City Edition uniforms on the hardwood Monday night with a 104-98 win over the Denver Nuggets. 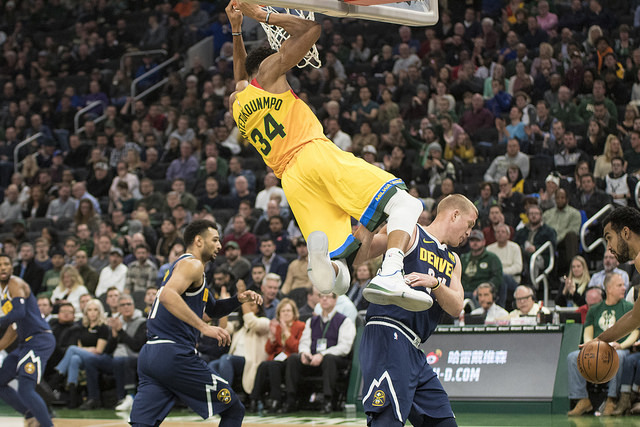 Published Nov. 20, 2018 at 8:01 a.m. 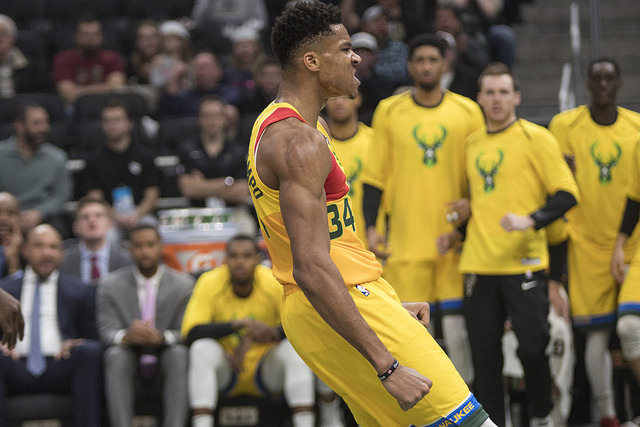 The Bucks have made a bold statement in the NBA this season with their impressive 12-4 start, currently the second best record in the entire league. 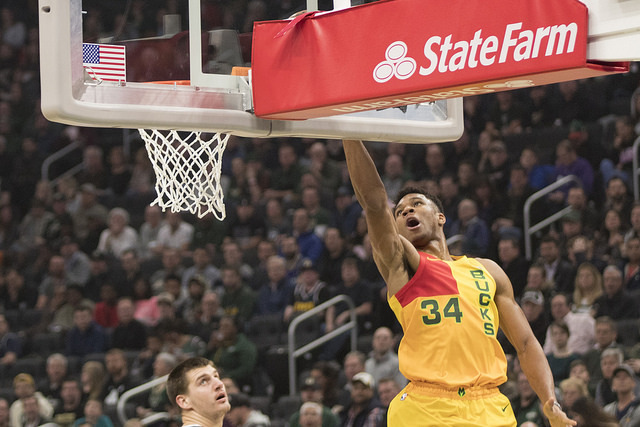 But nothing may be as bold as the team's brand new City Edition uniforms. 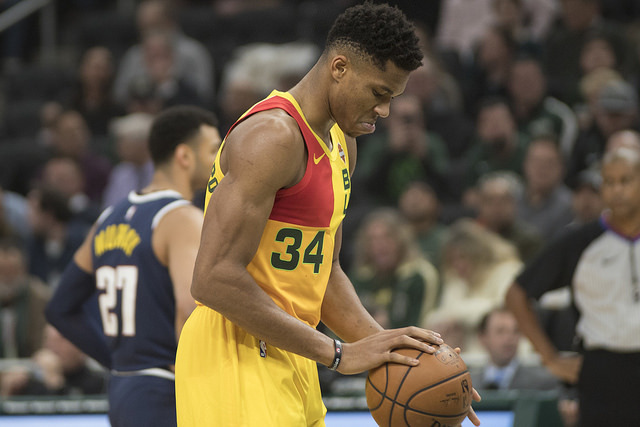 The polarizing jerseys certainly created a lot of chatter among fans this month, but Monday night was the first opportunity for fans to see the eye-catching uniforms live and in action, with a cross-conference matchup against the Denver Nuggets. 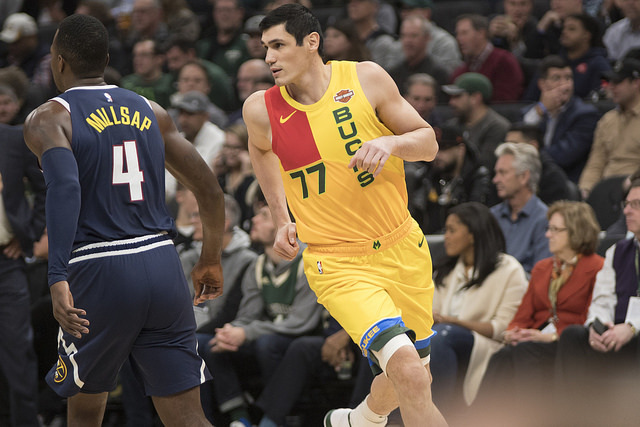 Going into Monday's game, I was definitely an apologist for the bold uniforms. 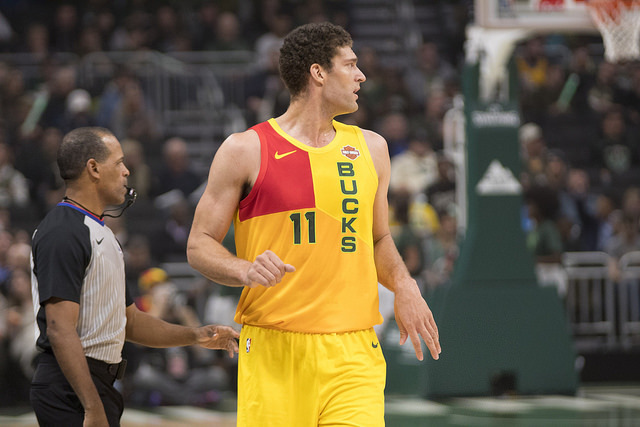 Not only do the jerseys pay homage to the Bucks' famed MECCA court, I appreciate the warm and bright colors and the unconventional asymmetrical design. 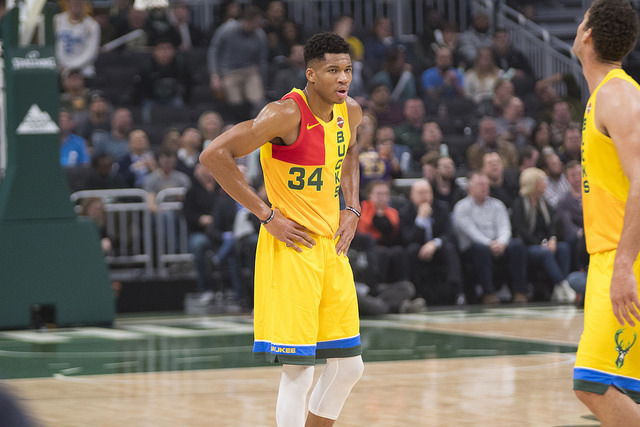 While the jerseys may not be the most attractive by an objective standard, in a state where everyone embraces the questionable color combination of green and yellow, the Bucks' City Edition uniforms have received a lot of unwarranted hate. 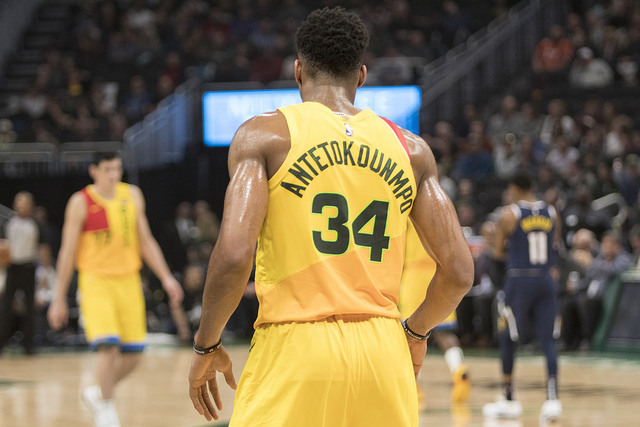 But after Monday's victory, the jersey's cynics may come around because the bold ensemble looks even better in person – and Giannis looks good in anything when he's dunking on defenders. 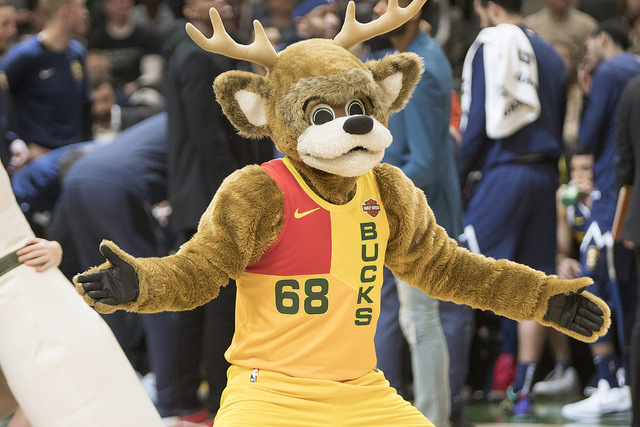 Hate it or love it, the Milwaukee Bucks are 1-0 with their new City Edition uniforms and you'll have five more chances to see the jerseys at home this season.